There’s just something about wearing a hat! The presence of a hat on my head absolutely makes my face look more distinctive. And wearing a hat is definitely a conversation starter. I get a lot of positive comments from both friends and strangers when I wear any of these hats. Due to the long Jewish, Christian, and Western European traditions of women wearing head coverings and hats, it’s generally acceptable for women to wear hats at any time and in any situation—the rules for men wearing hats are a bit more complicated and subject to debate. This entry was posted in Life! 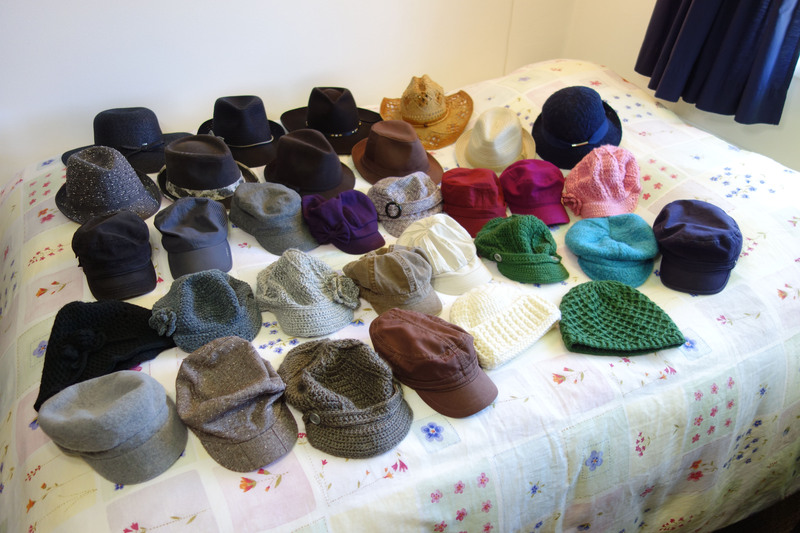 and tagged hat collection, hat etiquette, hats, ladies' hats, women's hats by tarvasalutes. Bookmark the permalink.